Roll up your sleeves, sharpen your pencils and get ready to be filled with creative inspiration because this Friday heralds the start of the Supergraph Contemporary Art Fair! Held across three days at the Royal Exhibition Building in Carlton, the inaugural Supergraph Contemporary Art Fair will showcase the best in the business, from illustration and contemporary design, to print and graphic art. Need to pick up a little something for the home or for a gift? There'll be plenty of unique pieces at Supergraph starting from as little as $30. Want to learn from the pros? Book in for one of the masterclasses. Or do you feel a little friendly competitive spirit coming on? Then the 'So You Think You Can Draw?' competition is just for you. With so much on offer, it can be overwhelming navigating your way through all the amazing exhibitors and activities. Need some help? Never fear because we've put together the top picks from the Supergraph Contemporary Art Fair. A long-time favourite of ours here at The Urban List, Ellie Malin is well known in Melbourne for her bold, bright, super colourful patterns and prints. 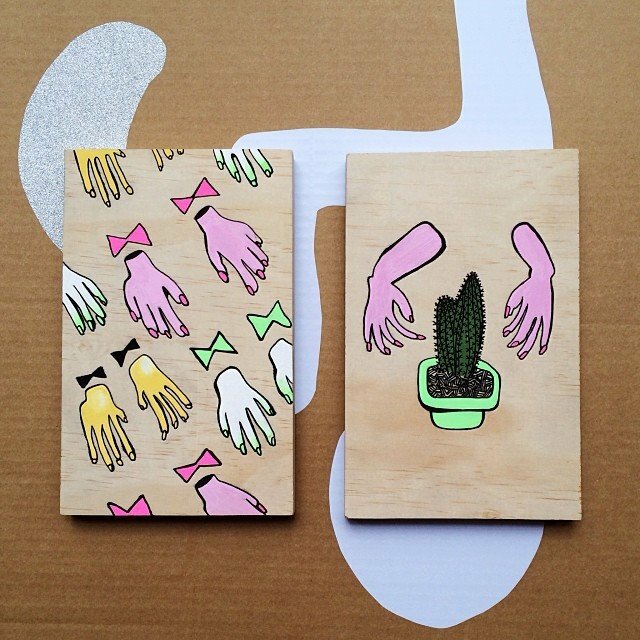 Although Ellie prefers working with wood blocks, her giclee prints are standouts, while the screen printed linen towels make for the perfect present. If you're anything like us, you'll be lusting after an original vintage poster for your home or office. Purveyors of one of the biggest and best ranges out there, the team at Galerie Monmartre will be bringing their expertise plus a wide range of posters to Supergraph, where people like me will be elbowing their way to the front. The Hungry Workshop...bringing back the art of the letterpress and making it super cool. The age-old art of letterpress printing is dead, right? Wrong! 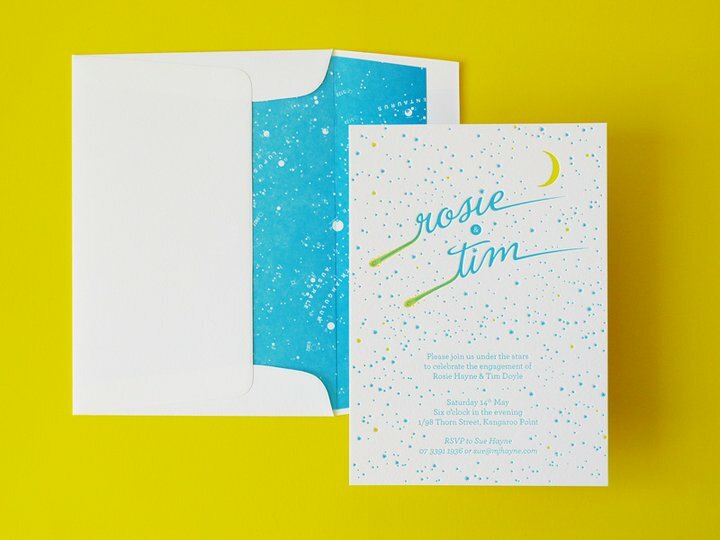 Champions of this unique method, The Hungry Workshop are a team of creatives who use a Heidelberg 'Windmill' platen to print their range of artwork and cards, along with jobs for external clients. The Hungry Workshop crew are also brilliant at design, illustration and branding, so if you're after expert help for your next project – be it business cards or wedding invites – stop by, meet the team and fall in love with their work. Another one of The Urban List's favourite spots in Melbourne, Signed & Numbered will also be exhibiting at Supergraph Contemporary Art Fair. The idea behind Signed & Numbered is truly unique – it's a space that gives independent artists the opportunity to share the work with only a limited run going on sale to the public. With price points to suit everyone, the S&N stall is the perfect spot to drop by and pick up a one-of-a-kind print. Ermahgerd, Kate Hudson will be at Supergraph!!! Errr no, not that Kate Hudson…it's the equally as talented (some may say more so), printmaking Melbourne whiz. Famous for her black and white linocuts, Eltham-based Kate is inspired by Australian flora and fauna, with beautifully detailed drawings of birds and flowers adorning her work. If you're not a fan of colour, or you're just after something with a monochromatic colour palette, Kate's work is hard to pass up. We're BIG fans of Baker & Bailey's graphic, cartoon-like prints. Not content with focusing on one area alone, the Baker & Bailey duo of Renee Anne & Jonathon Bailey are masters of quirky prints, jewellery and knick-knacks for the home. Their work features graphic, cartoon-like prints combined with a great sense of humour – we have our eye on their framed prints, pretzel necklaces, and 'No, No, No!' tangle free headphones. After a successful career in graphic design, Melbourne creative, Sarah Pook, launched Little Quarters – a line of prints, wall banners, and cushions featuring her intricately drawn, slightly spooky, yet incredibly beautiful skull illustrations. Sarah's work is the perfect mix of opulent and luxurious, but with such affordable price points, it'll be hard for you to resist a few purchases. Yes, Supergraph is all about contemporary art, however, the exhibitors aren't just printmakers and graphic designers, you know! 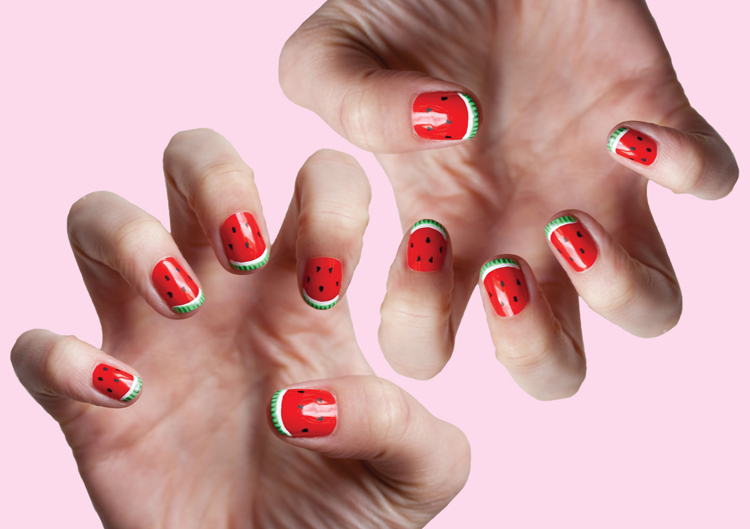 Masters of art and design, albeit in a very different way, the team from Trophy Wife Nail Art team will be setting up camp at Supergraph and we predict the crowds will be flocking! With all sorts of nail art designs on offer, including tropical fruits, Mondrian-like graphic art, and errrr, liquorice all sorts, a visit to Trophy Wife Nail Art is the perfect way to finish your Supergraph visit. The Trophy Wife Nail Art team are masters of art and design - albeit in a very different way!